Apple is always trying to upgrade its products with some or the other new and amazing features. Recently Apple has launched iPhone 4S in category of iPhone. Another product named iPad is going to upgrade with new model iPad 3. 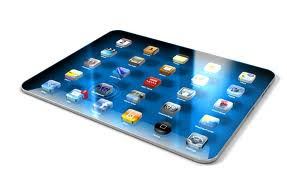 The iPad 2 was announced and launched in March 2011. According to the news, iPad 3 could be launched or may get announced by Apple in about three to four months. The news reports that the information has come from an anonymous sources that are working close with Apple supplier. Components of iPad 3 are already delivered to Apple by the Manufacturers of iPad components. Foxconn ,a Chinese factory has already start reassembling the first iPad 3 in January. Apple is planning to reduce the production of iPad 2 in the final quarter of this year from about 15 million units to 4 to 5 million units in the first quarter of 2012. This decision of Apple is to make room for the production of new iPad 3. The iPad 3 may have 'retina' like display with a resolution of 2048 x 1536. Current iPad and iPad 2 having 1024 x 768 resolution.